Kevin Bramer has written on Dump #2 over at Optical Sloth. "Does this actually not say “#2″ on the cover? No, I guess not. I had a few questions about various things in this one before I started (that cover, the abrupt ending of the Dump story) but David covered all that in his afterward, so never mind. 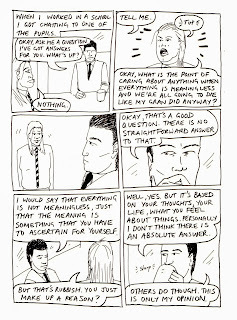 This one starts with the second part (of three) of the “Dump” story, this time focusing on our hero as he gets more and more miserable at work, but he does finally meet somebody he can talk to and commiserate with. I love the little touch of the Garvo-Munchers, little horror shows of eyeballs and tentacles, amidst the generally mundane tone of the rest of the story. I’m looking forward to the finale of this one in the next issue, although he might want to put the whole story in one comic when it’s finished, considering the average attention span in this day and age (myself sadly included in that). The short pieces in here dealt with trying to remember the name of that one actor guy, a bicycle ride with a nice ending, overthinking things at a party, trying to come up with a good argument in favor of voting, coleslaw, appreciating what you have and an informal history of e-mail and the internet. Read that last part and feel old! Or bitter at the youngsters because they’ve always had the answer to every question in the world at their fingertips. 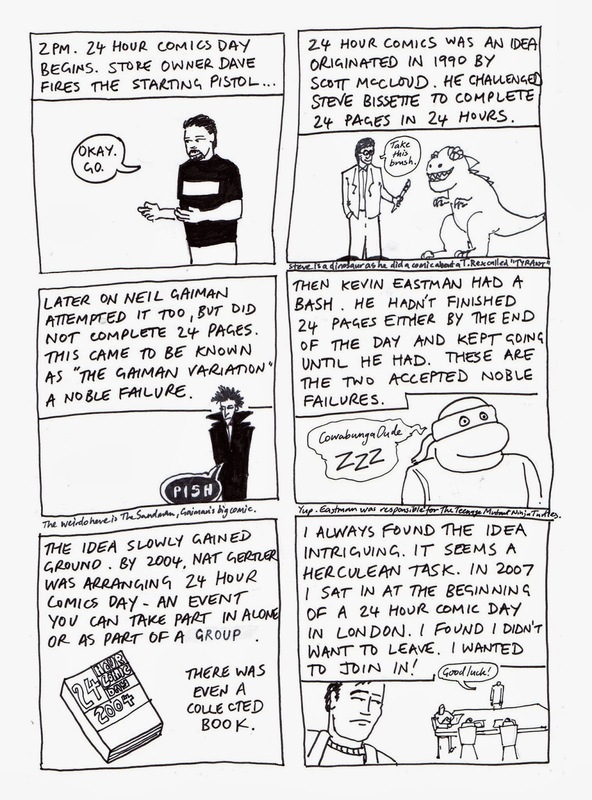 The other big story in this one (it’s a pretty hefty comic) is David’s 24 hour comic. 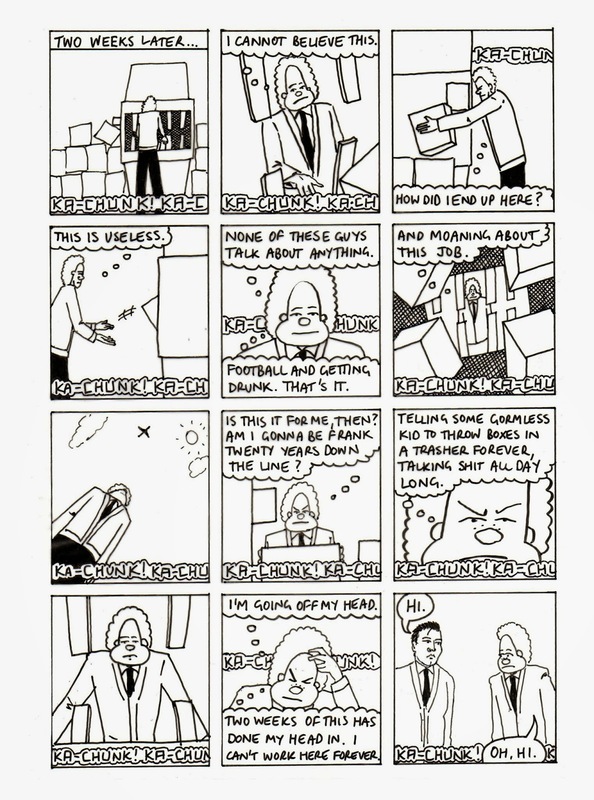 He starts with a brief history of the 24 hour comics, mentions how one of the rules is to go into such things without a plan, and ends up with a pretty damned compelling comic. He goes into detail about his own history, how he always wanted to do comics but ended up trying a bunch of different things because he couldn’t see a way for comics to be taken seriously. 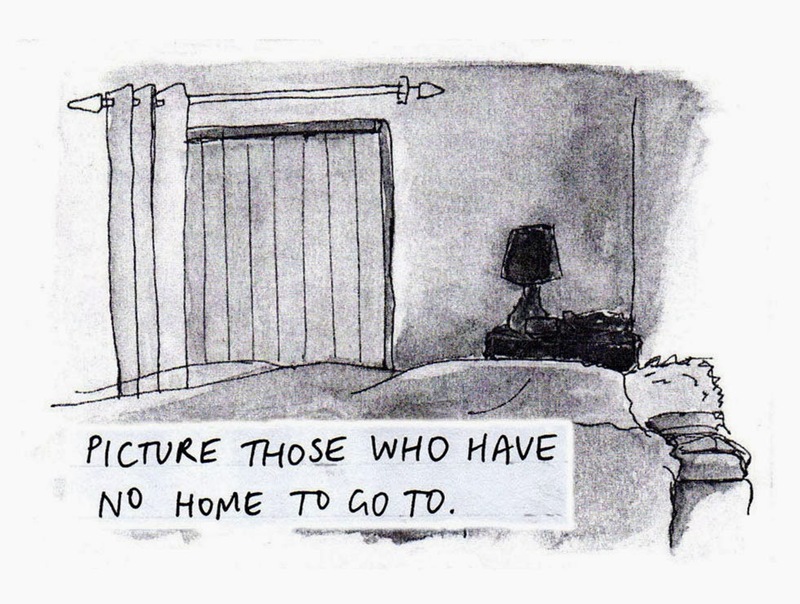 This is where the internet comes in, as the message board for The Comic’s Journal helped all kinds of people from all over the world (David is in Scotland) come together. 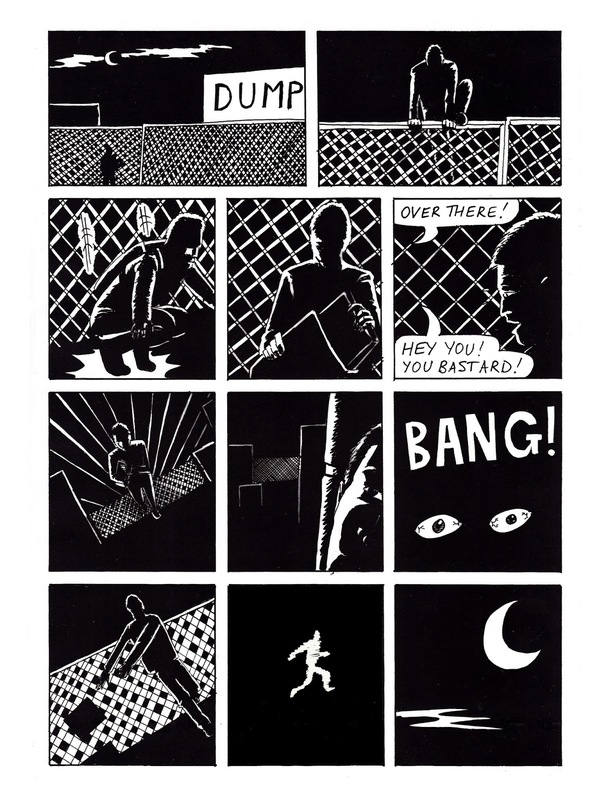 24 hour comics can be a bit of a mess, so it’s always nice to see one put together as well as this, especially considering the conditions involved in making such a thing. Read it and enjoy, as there’s plenty to like in here. Don’t let that innocuous cover scare you off!" 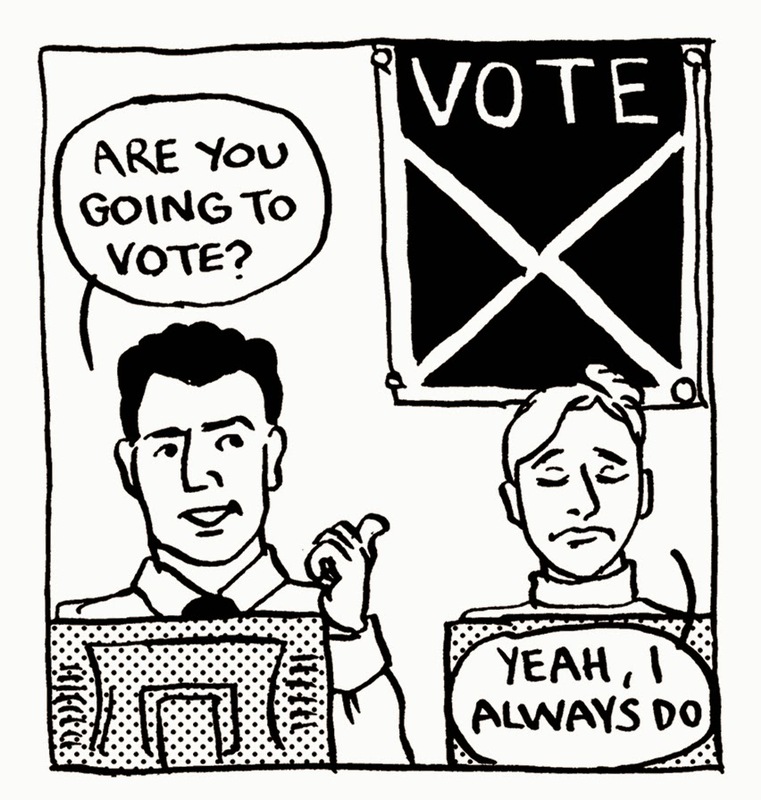 Damon Herd, who drew the story "Why I Vote" in Dump #2, has written on our collaboration over at Graphixia. "For this week’s post I’d like to give a little insight into a collaboration process that I have gone through recently. My first comics collaboration happened when I was about 8 years old. A pal and I created a strip that was a rip-off of Danger Mouse. We didn’t do anything with it, I don’t think we even finished it. It was just a way to pass some time doing something we both enjoyed. It was 30 years before I collaborated on another comic, while I was studying for my MA illustration. One of the projects involved teaming up with a writer from Edinburgh University’s creative writing MA. We were paired at random but ‘my’ writer, Chris Lindores, was also into comics. We decided that I would illustrate an existing poem of Chris’s and we met a few times to discuss the adaptation. 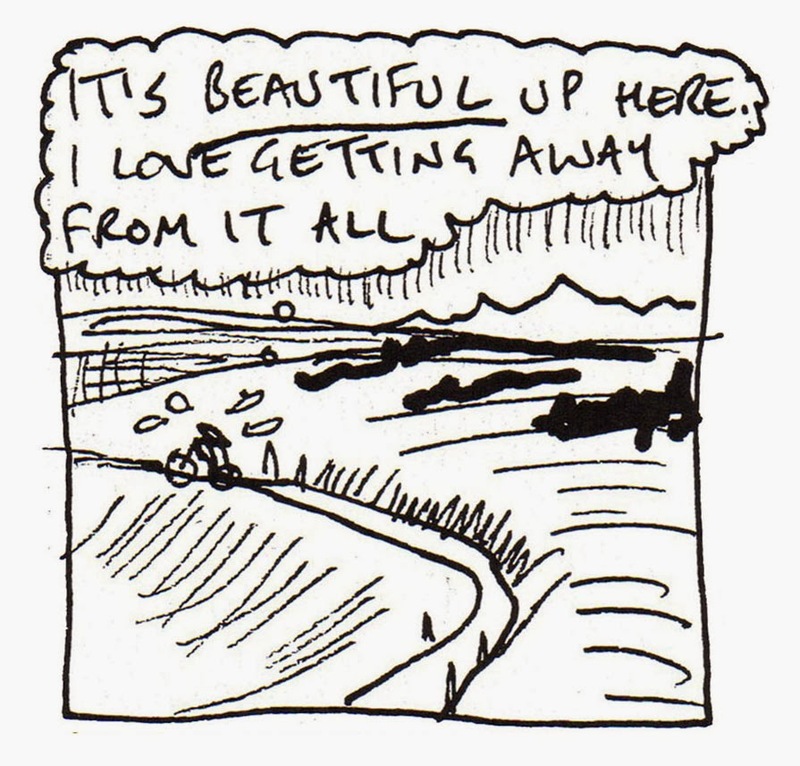 Although the poem was based on real events – my love of autobiographical comics showing through! – there was a shared liking for Batman so that somehow crept in. Looking back the strip is OK, if a little literal, too much show AND tell going on. At the end of last year another opportunity for collaboration came up when my friend, the cartoonist David Robertson, asked me if I would like to contribute a one page strip to the next issue of his comic Dump. Much like myself, David is quite content to be producing his own comics purely for the sake of making comics. This isn’t a get rich quick scheme or the first step in a career in the movies, this is making comics for the love of comics. With a day job and family to occupy most of his time David manages to produce strips whenever he gets a spare moment, and gradually the stories build up until he has enough material to publish a book. 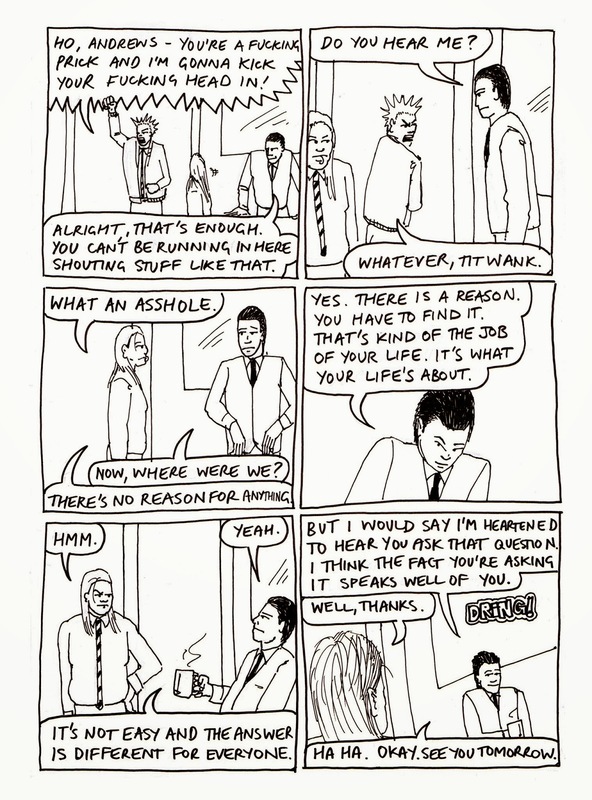 His comics are refreshingly uncynical and have a wry sense of humour. Whenever I host a DeeCAP comics performance event in Dundee I always ask David to contribute, as this humour comes through in his deadpan delivery, and he knows how to work an audience. 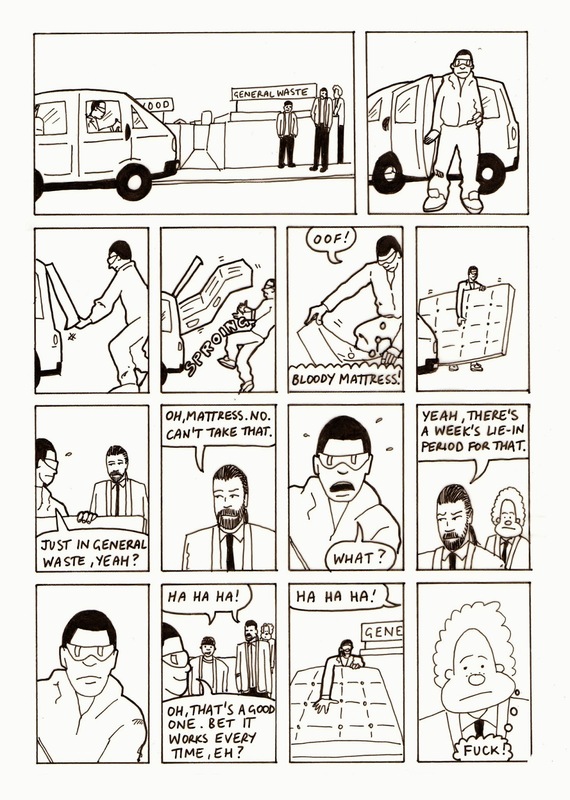 Dump serialises David’s ongoing strip Dump, which details the adventures of Bert, the main character from David’s webcomic, Berserkotron, who now works at the local rubbish tip. 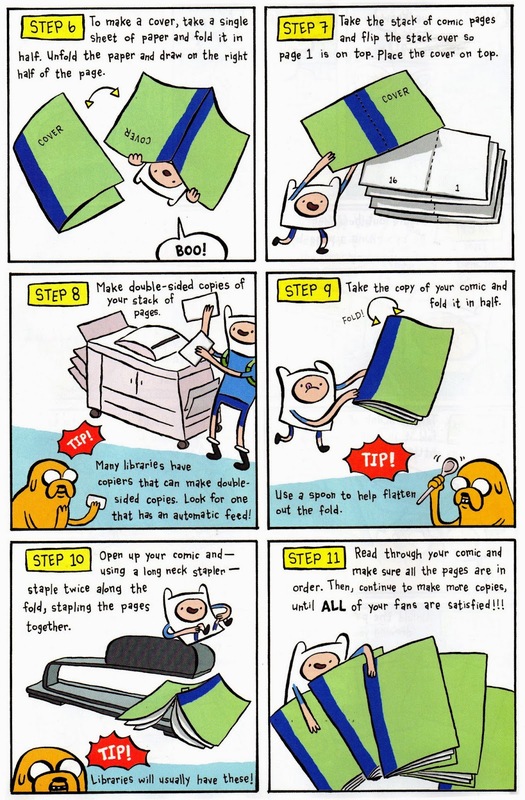 The book also acts as a repository (or dump) for David’s other strips, including One Day at Space Wizard Central (a highlight at a previous DeeCAP) and History of E-mail and the Internet. For the latest issue he decided to collaborate with artists Neil Paterson, Keara Stewart, Donna Law, and Stephen Boyd, as well as myself, on five one page strips. David wrote the scripts and we produced the art, apart from Stephen’s strip, where David wrote the story to fit existing artwork. David actually gave the artists a choice on whether they wanted to write and draw their own strips but everyone decided to illustrate David’s scripts. Typical of us lazy artists! But we should be careful what we wish for. When the script arrived it wasn’t what I was expecting. I thought it would be all text, dialogue with descriptions of the scenes, but what turned up was a fully sketched out page with thumbnailed panel layouts and dialogue. I joked that David was ‘no Stan Lee’ because he had supplied such detailed scripts, no Marvel method here! At first I didn’t think this left much room for collaboration, David had asserted what Scott called his ‘textual authority’ but as I read through the script I realised that there were certain things I could bring to the page. 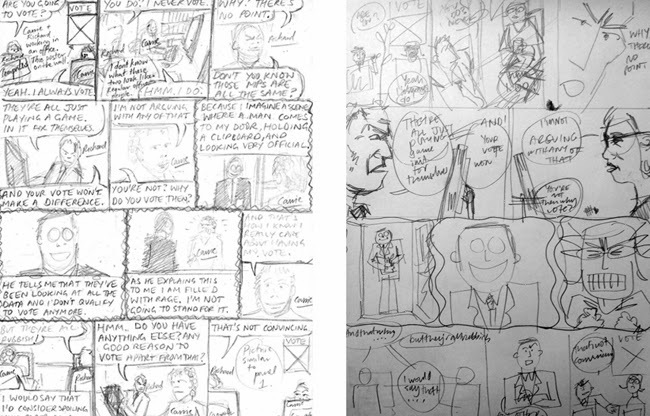 David’s script was set out on a strict 12-panel grid and I felt that the flow of the page could be improved slightly. I wanted to contain on one row the sequence of three panels that occurs in one character’s head. This meant rejigging the other panels on the page, I had to expand the previous two panels to fill a row and lose a panel on the final tier. This seemed to work as I could still put all the remaining dialogue in the final three panels, or so I thought (more on that in a moment). So, while the underlying grid was still 12 panels, I had managed to tell the same story in 11 panels. As the scene was basically two people talking in an office I used Wally Wood’s 22 Panels That Always Work, to help with a few panels (you might notice the ones I swiped). 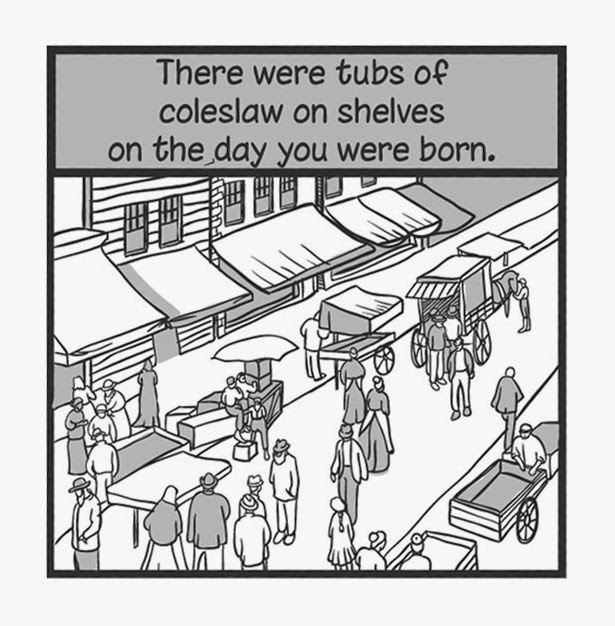 I sent David a rough sketch of my layout and he remarked that he liked the two panel ‘Smith and Jones’ row but was worried that I wasn’t using all the dialogue. I assured him that I would but had only scribbled a few lines on the layout sketch for speed. Turns out he was right to worry. I sent him the finished scan just before Christmas (I think he was tapping his feet waiting on me so he could send the finished book to the printers). A copy of the freshly printed comic dropped through my letterbox soon after the New Year and I was very pleased to see how it turned out. I met up with David last week and we discussed how the process had gone. He had been really pleased with how each cartoonist had approached his scripts, a couple of us had moved a few panels around but the strips still presented David’s stories. Then he pointed out something missing from my finished strip – half the dialogue in the final three panels! Apparently the scan he sent me was incomplete so I never received the text, however the strip still made sense so I never noticed. David had wondered if he should ask me to redo the strip, but agreed that it still made sense even if it wasn’t exactly what he had intended. Also, the repositioning that I did to his panels would not have worked as well if I had tried to squeeze in the missing dialogue. I think that is the joy of a collaboration, things don’t quite turn out the way you planned them. Another person’s interpretation of the same problem will likely generate different results from your own, and hopefully the input from two people creates something that neither of you would have produced on your own. 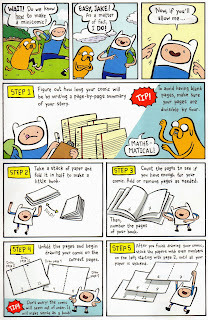 It is like the ‘mathematics’ of comics, words + images = something much more than just a simple combination of the two." 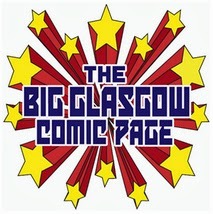 Gary Smith has written on Dump #2 over at The Big Glasgow Comic Page. 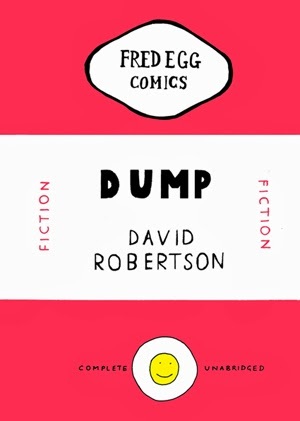 Issue 2 of 'Dump' is the latest publication from the Tayside based comics creator, David Robertson. 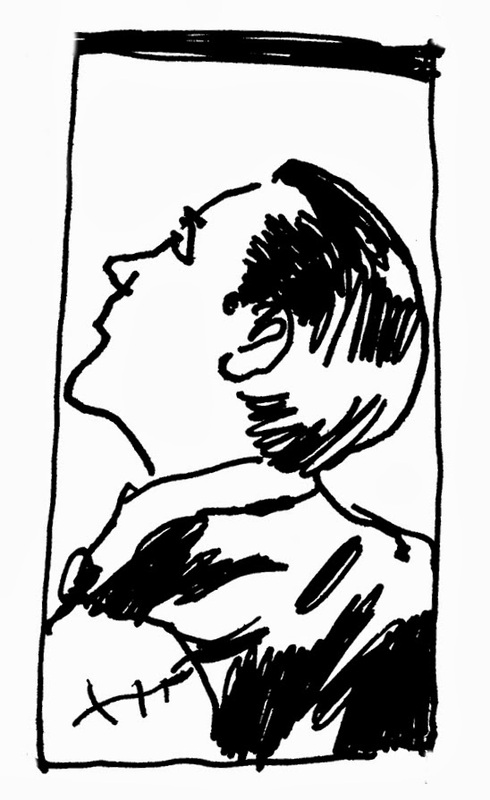 The comic contains a variety of strips, ranging from one-page works produced with artistic collaborators to longer, more autobiographical works that are both written and drawn by Robertson. 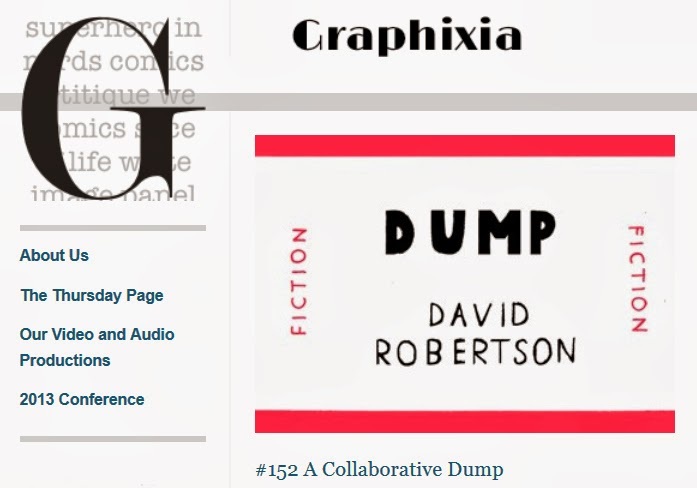 The first story, Dump, nicely illustrates one of Robertson's key strengths: the juxtaposition between the often mundane nature of daily life and the absurdities that can be found within. 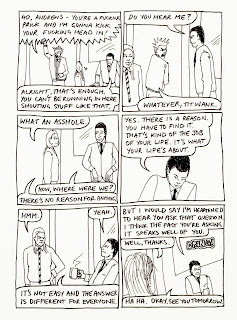 This theme is continued in six one page strips, exploring such everyday scenarios as why people vote, social anxiety, and celebrity name association. The commonplace nature of many of the events depicted allow the reader to easily identify with the scenarios, with Robertson marrying this with a sly wit and a unique way of interpreting these familiar situations. As enjoyable as these pieces are, for me the real success of the publication lies in the two stories that make up its second half. Autobiographical in nature, a 4 page story details Robertson's interpretation of the development of e-mail and the Internet, and how this has been reflected in his own life. A fascinating piece, it does a good job of highlighting not only the pace of change, but also how outlandish certain innovations seem in isolation and upon first introduction. Encompassing everything from Geocities to Twitter, Robertson also highlights his comic knowledge by providing a sly nod to technology from the Lee/Kirby run of the Incredible Hulk. 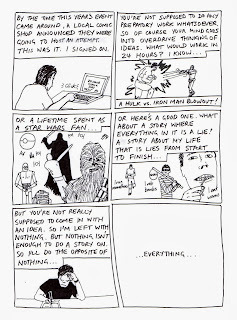 The final strip, 'Everything', is a treat. Produced from scratch as part of a 24-hour Comics Day event, this details Robertson's journey thus far, exploring the career, personal and social factors that have shaped his life to date. I am always fascinated by insights into the creative process and following Robertson's journey from youthful comic mash-ups to adult self publication is an engaging read. Robertson's art is not flashy but is simple and effective, a good fit for the everyday situations depicted in his work. The format and production values of the title merit special mention. Modelled on the Penguin Classics template, the cover is instantly eye catching, while the reproduction inside is crisp and clear. The volume concludes with a short text piece from Robertson that gives an insight into the background for each story, as well as raising the tantalising prospect of a third issue of 'Dump' to be released in the future. Jeremy Briggs has written on Dump #2 over at Down the Tubes. Here are your last couple of previews from Dump 2. Click for larger versions. History of E-Mail and the Internet. I hope you've enjoyed the comics I've posted this week. If you have, and fancy buying a copy, please visit the Fred Egg Comics shop on the right. "Dream of Being You" by Stephen Boyd. "Why I Vote" by Damon Herd. "Cycling Through Freedom" by Neil Paterson. "Yay! 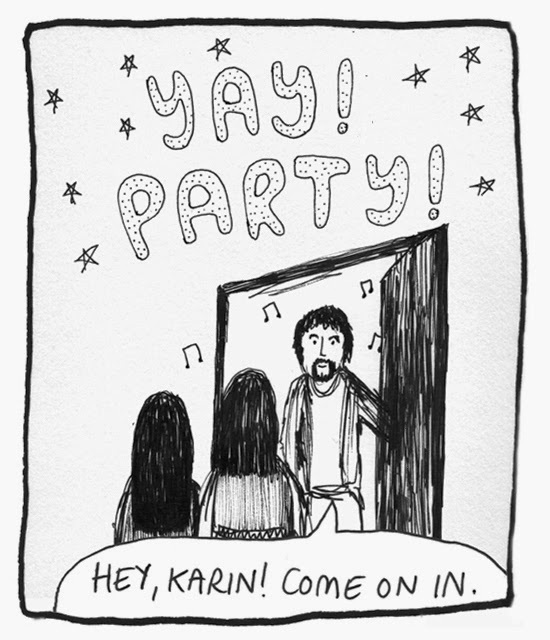 Party" by Keara Stewart. Thanks very much to everyone who contributed. Great work, all! To buy a copy of Dump #2, please go to the Fred Egg Comics shop on the right. Labels: Coleslaw, Cycling Through Freedom, Damon Herd, Donna Law, Dream of Being You, dump comic, Keara Stewart, Neil Paterson, Stephen Boyd, Tanitoc, Why I Vote, Yay! Party! Here's another preview of my new comic Dump No.2. These are the first four pages of "Everything". Click images for larger view. As mentioned in the story itself, this was done for 24 Hour Comics Day. A great, if exhausting experience. If you'd like a copy of Dump No.2, please go to the Fred Egg Comics Shop on the right. Thanks to everyone who's bought one already. 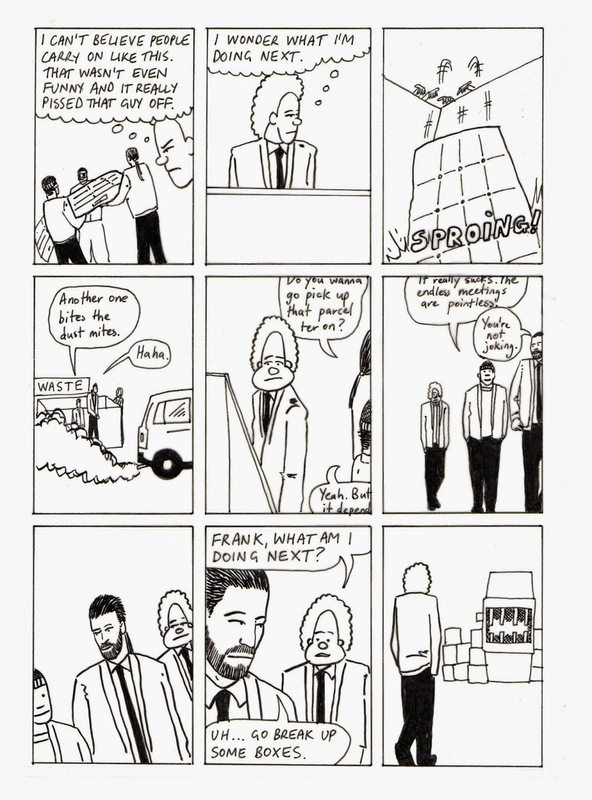 Terry Hooper-Scharf has written on Dump #2 over at Comic Bits Online. "This is actually a nice little package and £1 for 60 pages???? That is crazy, but that's just me. The quality of printing is great and, hmm, why is that cover design so familiar? Now, this was an enjoyable and fun read and although I cannot say any artist in particular leapt out of the page at me this was a true Small Press publication. Saying it is Small Press is NOT insulting the creators involved -in the UK the Small Press is, after all, the grass roots comics industry. And for £1.00 -how can you complain? "Dump" reminded me somewhat of a strip you might find back in the 1980s in something like Knock Yaself Out Comix and "Hey, Joe?" was interesting. If asked, yes, I'd recommend this and it might inspire others to have a go at self publishing. All together a great little book." 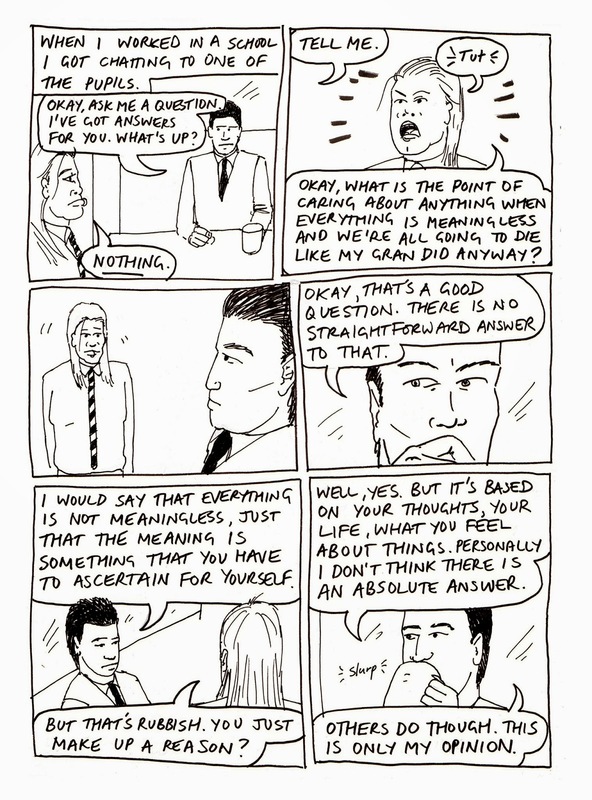 Presented here are the first four pages of the latest instalment of Dump. Click for larger views. More previews coming soon, including artwork from my collaborators. To buy a copy, please go to the Fred Egg Comics shop on the right. My new comic is now available! Dump #2. All stories written by myself, with 5 one page stories drawn respectively by Stephen Boyd, Damon Herd, Donna Law, Neil Paterson and Keara Stewart. The comic is 6”x9, and has black and white pages with colour cover. To get a copy go to the Fred Egg Comics shop over on the right. 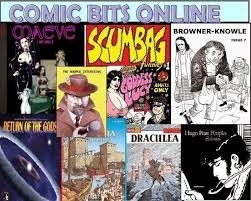 The title Dump serves as a description of the book - a collection place for different comics I've done; and as the name of the main story, whose central character works in a council dump. "Hey, Joe..?" 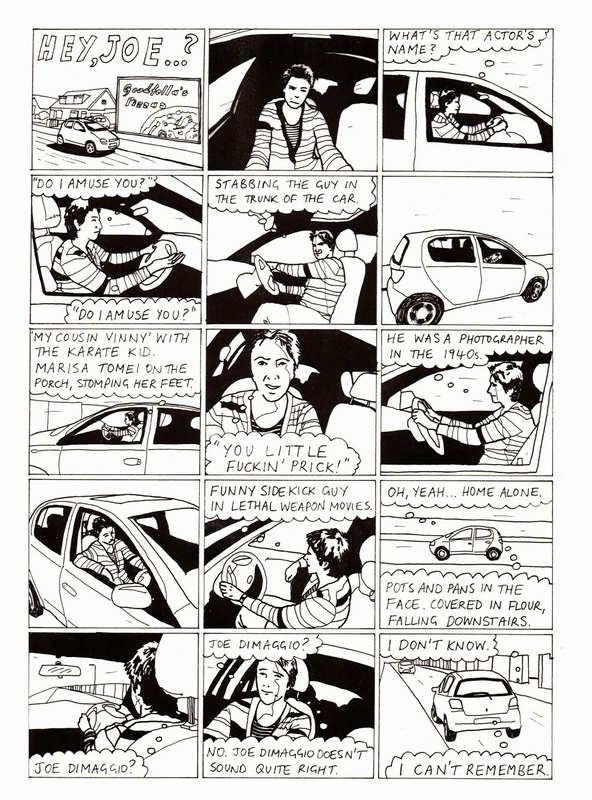 is a story about a driver trying to remember the name of an actor. "History of E-Mail and the Internet" is presented in 4 pages. I have 5 different one page stories written by me, with art by 5 others as listed above, on topics such as coleslaw, cycling, parties, rain and voting. 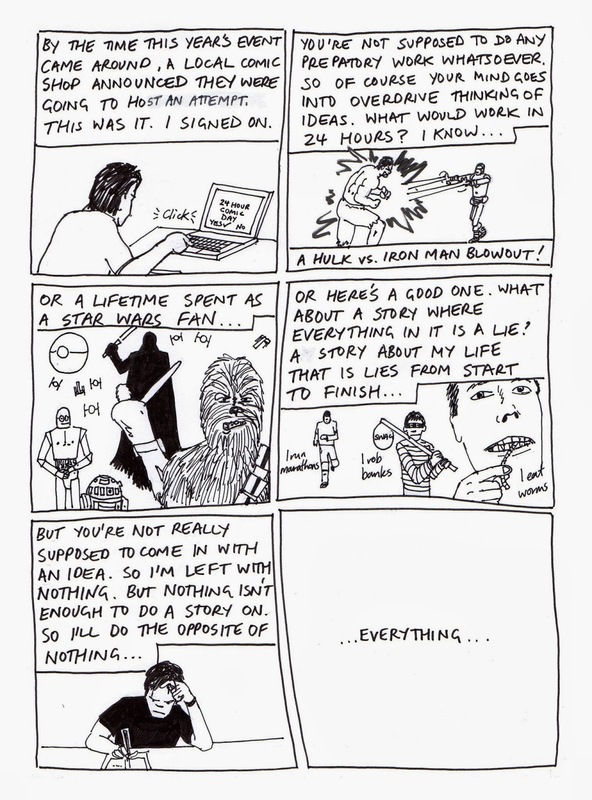 There is also a 24 hour comic called "Everything". 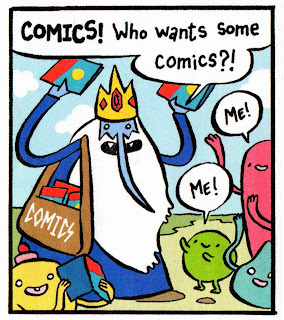 As you can see from the above image, the latest issue of Adventure Time (#6) has a story wherein The Ice King hands out copies of his own minicomic. 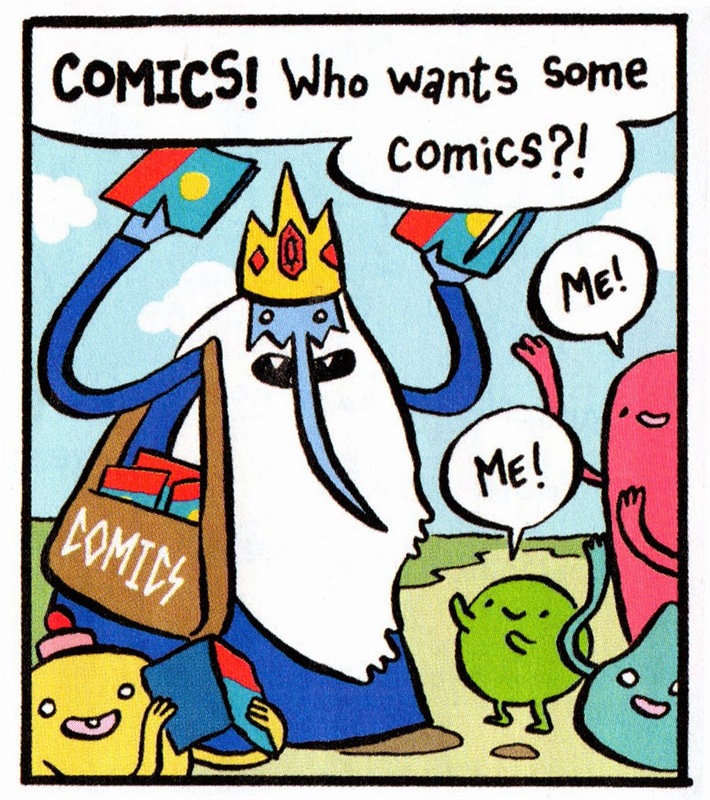 As he is evil, he has nefarious reasons for doing this - he wants everyone to become "so entranced by my comic that I'll be able to steal the princess and no one will notice!!!" 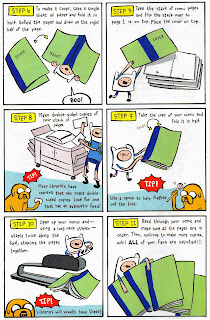 Jake and Finn discover this, and after discarding their first plan - "I know! We can destroy all of the comics!" - decide to make their own one to compete. 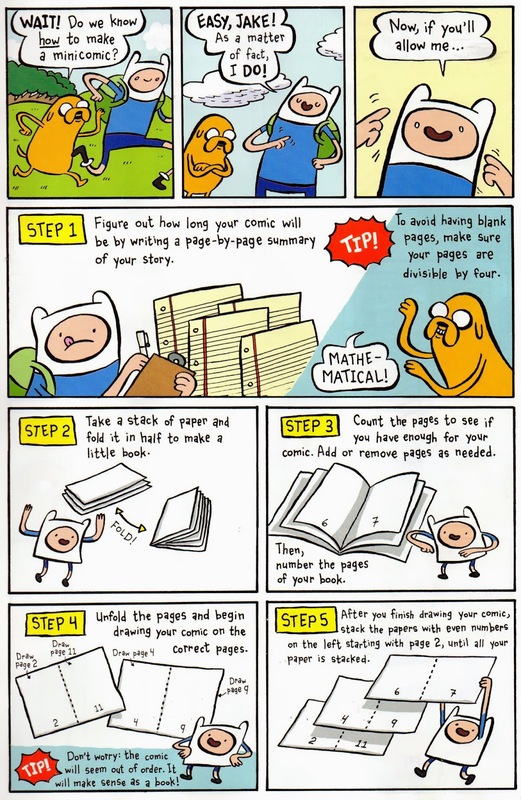 How interesting to see a useful guide like this for kids in a current comic. Good advice there, give or take what you want. Now there's no excuse for you not to get on with it yourself!